Last year Huawei unveiled the Mate 20 X alongside the innovative Mate 20 Pro and lower-specced but equally compelling Mate 20, but its release and availability in the UAE has been a complete mystery until now. The Chinese mobile giant has now teased a release date for their behemoth Mate 20 X to be sometime this month. The Mate 20 X is a proper phablet, sporting a huge 7.2” OLED screen with a teardrop notch similar to the Mate 20, and a large 5,000 mAh battery. It’s powered by Huawei’s latest Kirin 980 chipset coupled with 128GB of internal storage and 6GB RAM. The phone will also feature a vapor chamber cooling system dubbed “graphene film cooling” designed to keep the phone running optimally even in demanding situations. This phone is clearly targeted towards those who love to consume digital media on the go and mobile gaming fans who like playing games on the highest settings possible. 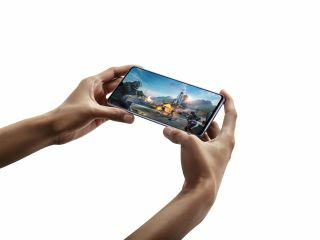 Huawei’s decision to bring the Mate 20 X to the UAE market is largely influenced by the fact that nearly 60 percent of UAE smartphone users watch online videos on their devices daily and the UAE ranks 41st worldwide amongst the world’s top 100 gaming markets. Huawei is expected to launch the phone in the UAE sometime this month and though pricing is still unknown, we’re guessing it’ll sit somewhere in between the Mate 20 and Mate 20 Pro.